What is an Albuterol Inhaler? 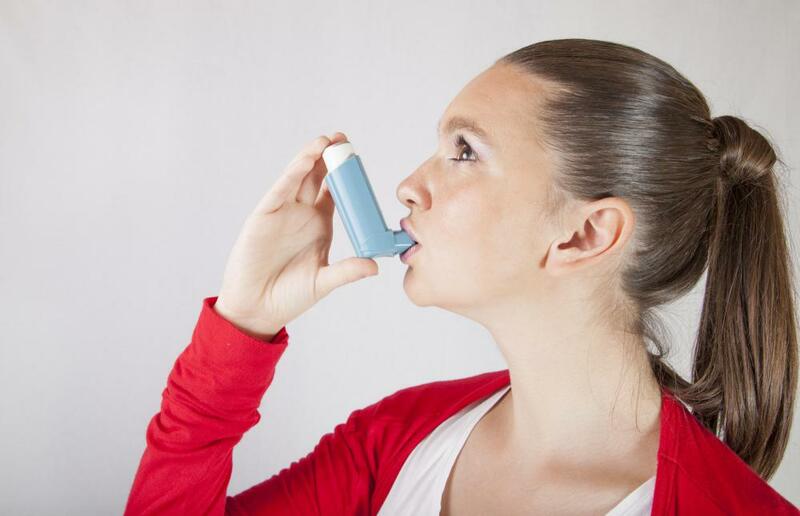 A patient with asthma may be prescribed an albuterol inhaler. People who are unable to use an inhaler may prefer using a nebulizer mask. 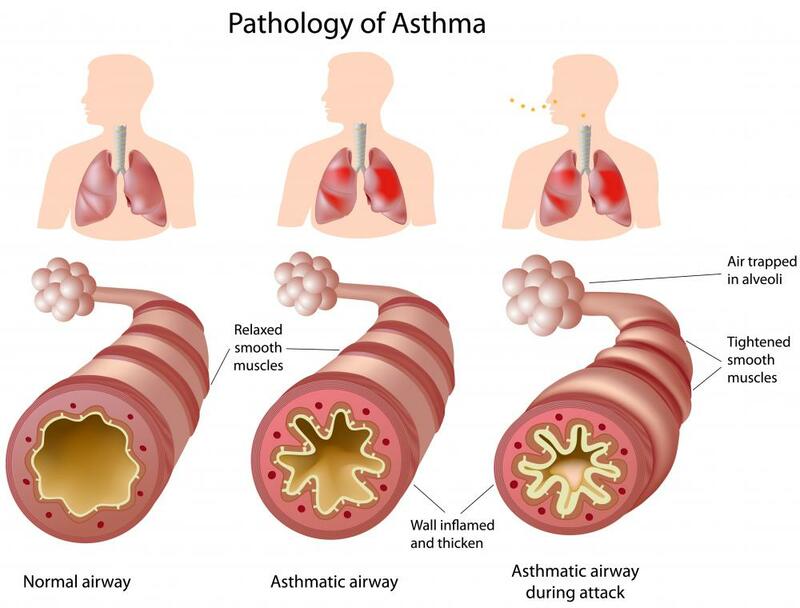 An illustration of the pathology of asthma. 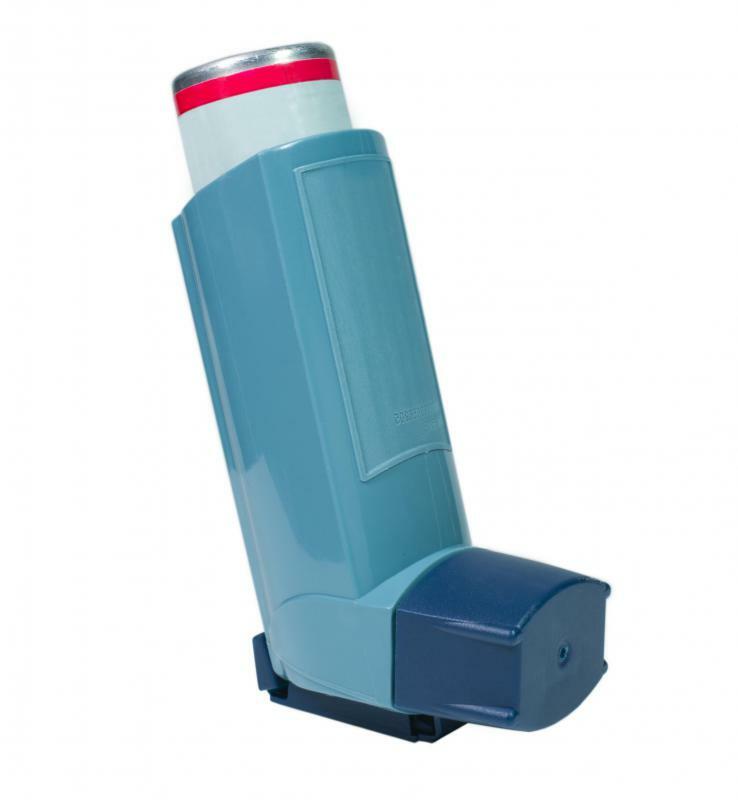 An albuterol inhaler is a prescription medication that is used to treat asthma, wheezing and other respiratory diseases such as chronic obstructive pulmonary disease (COPD) that inhibit the normal functioning of the lungs and airways. The albuterol medication is contained in a pressurized metal container and administered using a plastic nebulizer. The nebulizer converts the liquid medication into a fine mist that is inhaled by the user. An albuterol inhaler should be primed before it is used it for the first time. A user should also prime the inhaler before use if he or she does not use it daily. The act of priming involves removing the metal canister from the nebulizer and shaking it vigorously. The canister is then placed back into the nebulizer and pressed two to four times to allow several doses of the medication to escape into the air. The act of priming ensures that the correct dose of medication will be administered and that there are no foreign particles lodged in the inhaler that could be inhaled by the user. To use an albuterol inhaler after priming, the user must remove the dust cap from the nebulizer's mouthpiece and check the inside of the mouthpiece for dust, dirt and other impurities. If impurities exist, the canister should be removed from the nebulizer, and the mouthpiece should be cleaned with water. After checking the mouthpiece, the user should exhale completely, insert the mouthpiece into his or her mouth and press down on the metal canister that contains the albuterol medication. The user must deeply inhale the mist that sprays out from the albuterol inhaler to insure that the medication sufficiently coats the airways and reaches the lungs. After use, the dust cap should be replaced on the albuterol inhaler. The canister should not be removed from the nebulizer prior to storage. The inhaler should be stored in a dry, cool location. Users should avoid storing the inhaler in a moist location, such as a bathroom cabinet, because the humidity that accompanies showering and bathing might interfere with the effectiveness of the medication. Each user should also pay close attention to the expiration date printed on the albuterol inhaler to ensure that the medication is effective. Users who experience side effects after using their albuterol inhaler should contact their doctor immediately. Some users might experience allergic reactions to the albuterol medication, which might exacerbate their original respiratory disorder. Other side effects include shaking, swelling of the throat and face, headache, chest pains, coughing and vomiting. Users who experience severe side effects or who overdose on the medication should seek emergency medical treatment. How Safe Is Albuterol for Children? Is There a Connection between Albuterol and Weight Loss? How Effective Is Albuterol for Coughing? What are the Symptoms of an Albuterol Overdose? What are the Side Effects of Albuterol Sulphate?